This course introduces students to the emerging methodologies that combine geographic information systems (GIS) with historical thinking. Buildings in the French Quarter. This course introduces the emerging methodologies that combines geographic information systems (GIS) with traditional “historical thinking.” There are three goals for this course. First, students will learn basic technical skills in GIS used by spatial historians. Students are not required to have prior experience in GIS to enroll in this course, but basic computer literacy is essential. Second, through weekly readings, students will engage with scholarship/projects that use historical geographic information systems (HGIS) and with the broader spatial humanities. Students will be encouraged to consider the new topics/questions historians are investigating with HGIS and the new evidence HGIS provides to historiographical debates. The readings on HGIS research serve as starting points for class discussions on the strengths and limitations of this new methodology. Additional readings on HGIS methods provide examples of analytical tools, and students will be challenged to think of new methods that can aid in answering historiographical questions as well. Finally, students will undertake a small spatial history project. Through this research project, students will learn research and project management skills, which are increasingly necessary for historians in the digital age, while refining an intervention in the historiography. A collaboration to map immigration and neighborhood change in New York City during the late nineteenth and early twentieth centuries. Mapping Historical New York, through web-based, interactive maps, reconstructs the demographic and structural shifts of Manhattan and Brooklyn between 1850 and 1920. During this period, the city grew and diversified through the arrival of large groups of immigrants. Furthermore, the city boundaries expanded in the late 1890s to include a major section of Long Island specifically Brooklyn and Queens. Through a three year collaboration between the Center for Spatial Research and the Department of History, Historical New York City uses historical GIS and spatial history to develop new understanding of the magnitude of the changes that took place across this time. 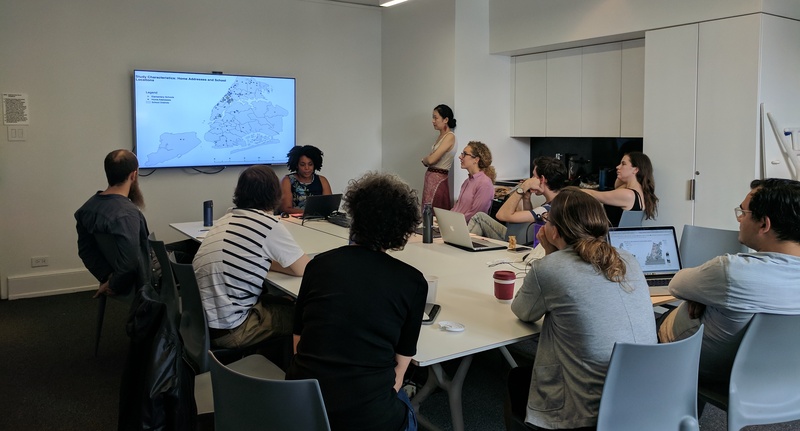 The project team is digitizing maps of Manhattan and Brooklyn and integrating individual-level records from historical US Censuses to build a comprehensive web-based resource for researchers and students interested in New York City’s history. In addition to producing maps and analysis for the city as a whole, the project plans to develop detailed case studies designed to deepen engagement with the digitized historical maps and demographic datasets at the neighborhood level. The resulting maps, tools, and information will be accessible to the public. In addition to the public-facing, interactive webmap, the project aims to train faculty and students in digital research and teaching methods. Courses on historical New York, immigration, urban history, and spatial history, offered in conjunction with project responsibilities, promote faculty and student involvement in the project’s design, development, and production. Funding for this project is provided by the Robert D. L. Gardiner Foundation. The Center for Spatial Research is seeking student assistants for the Fall 2018 semester. Students will be responsible for data analysis, visualization, map design, and will support research on projects dealing with our current research focus: conflict urbanism. Students will work extensively with spatial data including mining and analyzing data, processing and collecting data, and/or visualizing data in compelling and innovative ways. Working in close collaboration with principal investigators, students will produce work for inclusion in papers, multi-media projects, and exhibitions. We are seeking candidates who have experience with computational tools but are also eager to acquire additional skills through the course of their work with us. CSR researchers will mentor successful candidates and match them with projects which help them build additional fluencies with computational methods. Positions are 10-15 hours per week. Hours are negotiated on a per-student basis. All positions are $16/hour. Please note positions are only available for continuing Columbia University students. Please send a letter of interest, CV, and relevant work examples to info@c4sr.columbia.edu. Applications due September 14, 2018, materials will be reviewed in the order there are received. This hybrid theory/practice course provides an introduction to critical mapping discourse and geographic information systems tools. Fall 2018. What role does cartography play in our relationship to space? 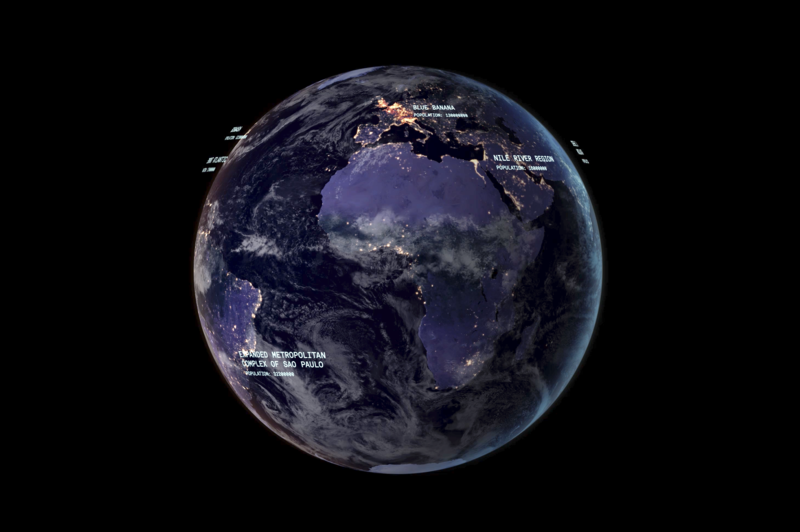 How does technology make sense of places to which we have never been? Through what material practices are data produced, and how are they located? As a result, what cultural attitudes inhabit our maps, how do they (re)produce our environment, and how can they be contested? This hybrid theory/practice course provides an introduction to critical mapping discourse and geographic information systems tools. Of particular interest to humanities students, it examines both historical and contemporary questions with reference to the technology of mapping. Additionally, through the use of open-source GIS software (QGIS), browser-based technologies (Mapbox, Mongo DB), and open data (OpenStreetMap), students will learn how to critically use mapping tools and geographic data for spatial analysis and representation. Each class has two parts as a result: in the first half of each meeting we will discuss weekly readings, while the second half serves as a flipped-classroom to address technical and conceptual issues arising from take-home GIS tutorials. The final weeks of the semester will be devoted to developing students' own critical cartographic research. Open to students within GSAS, GSAPP, Barnard and Columbia Colleges, and others by permission. In Plain Sight, a collaboration between Diller Scofidio + Renfro, Laura Kurgan, and Robert Gerard Pietrusko with the Center for Spatial Research, will open on May 26, 2018 in Venice, Italy. The installation is conceived and designed for Dimensions of Citizenship, the US Pavilion at the 16th International Architecture Exhibition of La Biennale di Venezia, commissioned by the School of the Art Institute of Chicago and The University of Chicago. The installation will be on view through November 25. Several events are planned during the opening weekend, May 24-27, featuring project collaborators Laura Kurgan, Elizabeth Diller, Robert Pietrusko. See the full schedule of events on the Dimensions of Citizenship website here. The Center for Spatial Research is seeking student candidates for both full-time and part-time positions during Summer 2018. Students will be responsible for data analysis, visualization, map design, and research on projects dealing with our current research focus: conflict urbanism. Students will work extensively with spatial data including mining and analyzing data, processing and collecting data, and/or visualizing data in compelling and innovative ways. Working in close collaboration with principal investigators, students will produce work for inclusion in papers, multi-media projects, and exhibitions. We are seeking candidates who have experience with computational tools but are also eager to acquire additional skills through the course of their internship. CSR researchers will mentor successful candidates and match them with projects which help them build additional fluencies with computational methods. Full-time positions are 35 hours per week for up to twelve weeks. Part-time work will be negotiated by student/project. All positions are $15/hour. Please note, positions are only available for continuing students at Columbia University. Positions open to both graduate and undergraduate students. Please send a letter of interest, CV, and relevant work examples to info@c4sr.columbia.edu with the subject "Application: Summer 2018 Student Positions". Applications will be reviewed in the order there are received.